The N-word has a checkered history dating back to the 17th century. More recently, its use has become prevalent in music, particularly gangsta rap, grime and some R&B, and has migrated into Britain, where it's mostly seen by some as part of 'ghetto' or 'street' language. The arguments for and against the N-word use will be discussed at The N-Word & Insidious Racism debate on Saturday Oct. 14, 6-9pm. 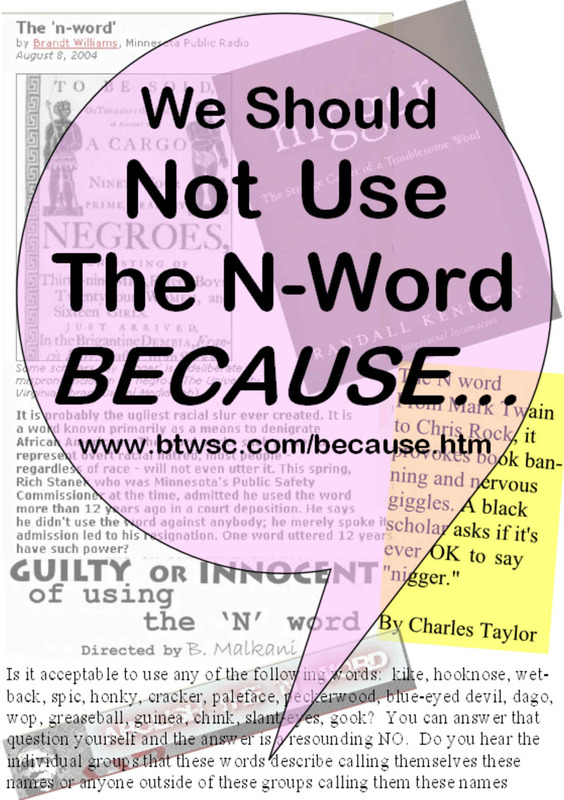 The results of the We Should Not Use The N-Word BECAUSE... youth writing competition, will be announced on the same day. The short-listed entrants present will receive books and CDs, with the winners also bagging £50, £30 and £20 cash vouchers.